October 2014 - Princeton Orthopaedic Associates, P.A. 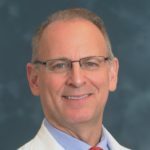 Dr. David Lamb has been appointed Chief of Orthopaedic Surgery at University Medical Center of Princeton at Plainsboro. Dr. Lamb took over from another POA physician, Dr. Gutowski who had been Chief since 2001. Dr. Lamb has been an attending physician specializing in Spine Surgery at Princeton since 1997. Dr. Lamb received his medical degree…Read more. Over the past two decades, Dr. Richard E. Fleming has been the indispensable, trusted, and consistently reliable orthopedic physician for the entire family. In performing surgeries, diagnosing knee, shoulder, and elbow problems, as well as prescribing appropriate treatment, Dr. Fleming has always been professional in his engaging, heartfelt, witty manner. Dr. Fleming personalizes all interactions…Read more. In the spring of 2013, Dr. Marc Lamb performed my carpal tunnel and trigger thumb surgery with great success. I had tremendous pain and numbness all the time and it affected my daily working life and sleeping at night also. I must say my outcome was that I no longer experience any pain or numbness…Read more. Earlier this year, I ruptured my Achilles tendon playing basketball. My early thoughts of surgery in a hospital for the first time had me extremely concerned. I had no idea of what to expect going forward. However, from the very first office visit, Dr. Hasan has been absolutely wonderful. From her first diagnosis where surgery…Read more. I started seeing Dr. Vannozzi for an old injury to my right knee. He was doing injections in the knee in preparation for knee replacement surgery in the near future. Then, when I injured my left knee at work, I knew immediately that I wanted Dr. Vannozzi for it also. He was caring and considerate…Read more. Dr. Brian Vannozzi is a great surgeon – great bedside manner – very personable. I have had right and left total knee replacements and I am now playing golf 5 weeks after surgery thanks to Dr. V. James P.
I was suffering from chronic knee pain for several years. During my recent vacation to Florida, the pain was so severe that I was in a wheelchair for the entire vacation. That was it. I decided for knee surgery for relief. I always thought that recovery was a very long and painful process. I went…Read more. My wife and I call Dr. Gutowski “THE MIRACLE MAN”. The doctor’s bedside manner was really impressive. All my questions before the operations were answered. Although the procedure and rehab came with a good amount of pain, I never thought about not having the second surgery. Dr. Gutowski and his staff prepared me for the…Read more. I met Dr. Stacey Miller-Smith about a year ago. I had back pain that was caused from years of injury. I was looking for someone to guide me and help me sort out options so I could live my life more fully. After my first visit, I was so impressed with Dr. Stacey Miller-Smith. She…Read more. I consider it my good fortune to have become a patient of Dr. Pressman since 2007 when he replaced my first hip. Since then, he has replaced my other hip and two shoulders with excellent results. I have obviously found him to be very skillful in addition to being a very kind and compassionate man.…Read more. My son, husband, and I have all been under the care of Dr. Fleming over the past 10 to 15 years. Dr. Fleming has performed knee surgery on my husband and shoulder surgery on both my son and I. We have always found Dr. Fleming to have a wonderful demeanor. During the pre-op visits he…Read more. Professionalism with a personal touch – this is the most direct way I would summarize my experience with Dr. Gecha and team. From the initial visit to the prognosis and discussing my treatment and surgical options, Dr. Gecha clearly articulated the full scope of my surgery and the recovery. The surgery itself went incredibly smooth…Read more. Dr Gecha is the very best. I am a 19 year old varsity college swimmer who slipped leaving the pool, fell down a flight of stairs and severely hurt my knee. After over 9 months of physical therapy, two MRI’s and having seen two orthopaedic sport medicine doctors I was still constantly in severe pain…Read more. I feel very unfortunate to have had two accidents resulting in two (left & right) rotator cuff, biceps, and related surgery. However I feel VERY FORTUNATE that I was in the care of Dr. Jeff Abrams, Herb Williams, and the Princeton Orthopaedic support staff after my first accident. Several of my friends told me to…Read more. “Our experiences with your wonderful organization have been outstanding. My wife, Michelle, was the first to be treated for a broken wrist by your Dr. Marc Lamb, who did an outstanding job. I followed with a broken hand as a result of a thrown golf club on the course and, again, it was Dr. Marc…Read more. “Dr. Abrams really is the gold standard for orthopedics – he has a great bedside manner and he is an excellent technician. He has been my orthopedist for over 20 years and I have recommended him to family and friends. I have trusted him over the years to make the best decisions for my orthopedic…Read more.